It has become open thought and growing concern within the Society that a great change of the Human Race is upon a very near horizon. Politicians and World Leaders around the globe in these desperate times, now come together with a unified common cause, a new goal to achieve, and a promise of Hope. Their objective is to stabilize or recreate that which is failing. As a pyschic within the Society I can tell you there is much more to the global decay of economics than the average technology blinded citizen may perceive. Described in one word, Horror! What is Hope? By definition Hope means simply, a confident decision. Neither right or wrong, good or bad, it's merely a calculated guess with a prayer. Hope gives no promise of success or failure. It is the perfect political word. A word that gives inspiration to the lamen, fear and skeptisism to the scholars and no absolution for anyone. We as a Society must remember that the powers to be have little control over endless quantum possibilities. There is no control over Chaos and its rules that may counter calculate our best decisions and numbers are not concerned with the aspects or spirit of the human element. What does all this mean, if we understand? When and if they come to your door and take freedom as payment for life. Welcome them in and give freely. The next conflict in evolution of mankind may last a hundred years or more and the meek will prevail by one thought at a time. Peace be with you Brothers and may God Bless your families. See you in your warehouse of dreams, where veiled truth is revealed. In the summer of 2008 I was fortunate to work with members of the Hopi Nation Medicine People. It was an experience that made me realize religion even on the most basic levels has become weak and corrupt. However, Elders living on the reservation have maintained a good Spiritual Balance. For those of you that have studied Ancient Magic you know the necessity for maintaining a balance of good and evil. In order to be able to travel the Astral to foresee the future, you are guided by those that may be considered Angels or Demons and what Natives would call Guides. The future foretold meets a present day conflict within Nations and possibly an action of our own system. While studying the Magic Customs of the Hopi, also know as the descendants of the Anasazi, a prophecy from a Medicine Elder was revealed. I posted this prophecy to the secured site of the Society, in late August of 2008. The Elders foretold of a creature that in appearance was harmless yet when in close proximity would devour humans. It was described as a monster. After this prophecy was foretold messages were sent to Hopi Clans in Arizona with a suggestion to move out of that state. It was said by the Elder that a light would fly across the sky and people sleeping would wake no more. When the picture was drawn for me I new exactly what it was. The arrows at the top represent airborne, and the creature a biological. 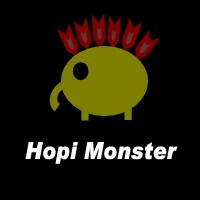 Please review the videos next to Hopi pictures.